PESHAWAR: Two Afghan-based Tehreek-e-Taliban (TTP) militants on Monday were tracked down and killed by security forces in Bajaur Agency during an intelligence-based operation (IBO). 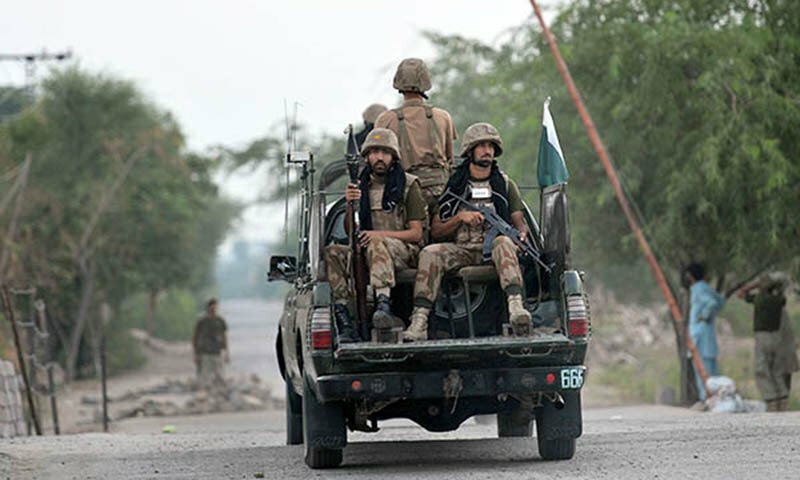 According to Inter-Services Public Relations (ISPR), the suspected terrorists entered Bajaur Agency via the Kagha Pass. They were tracked down by security forces and surrounded by a cordon near the Ghatki Kaga area, and were killed when they attempted to escape, said the ISPR. The ISPR added that the security forces had foiled a major terror bid in Khyber Pakhtunkhwa, the Federally Administered Tribal Areas and Islamabad through the IBO. And Afghanistan continues to send delegation of suicide bombers.